It’s easy to go shopping by bike with a pannier bag! Why take a bike clasS? Taught by a League of American Bicyclists Cycling Instructor – the only one on Cape Cod! 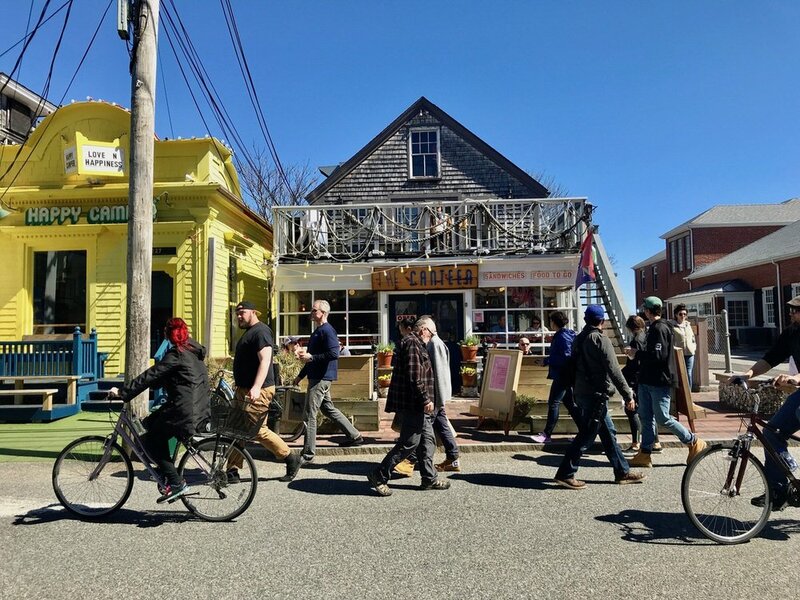 We start either from the Pedal Ptown meeting point at 6 Standish Street (right next to Art’s Dune Tours) or at The Commons, 46 Bradford Street. Check the class description for more details. You’ll get email reminders after you sign up. You can leave the car at home! Skills you can use every day! If you have specific needs, I can do private and custom classes as well. These can cover any of a range of topics, from learning to ride for the first time to advanced skills and everything in-between. Get in touch via email if this is something you’re interested in.